A loading dock is kind of like a football center: It touches the ball every play, but gets no glory when things go well. Almost all warehouses and manufacturing facilities induct and ship out almost everything — all inventory, finished goods, incoming raw materials, outgoing shipments make their way through the dock area. 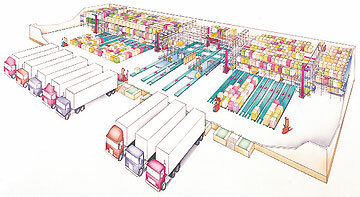 This makes the dock area uniquely critical to the success of most every shipment. It’s the conduit between your operation and the world beyond. This means finding ways to improve operations in the dock area can yield positive results for almost any business. 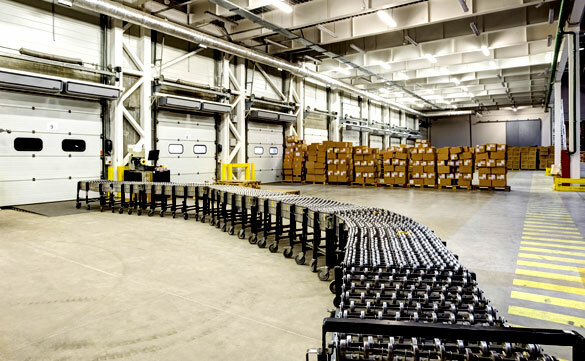 Whether your operation processes 10 pallets or 10,000 packages a day, you can improve the entire operation by optimizing dock operations. Yard ramps usually perform one of two functions: (1) They allow forklifts or other equipment to load a truck trailer from the ground, or (2) they allow loading and unloading from the ground level to a dock. 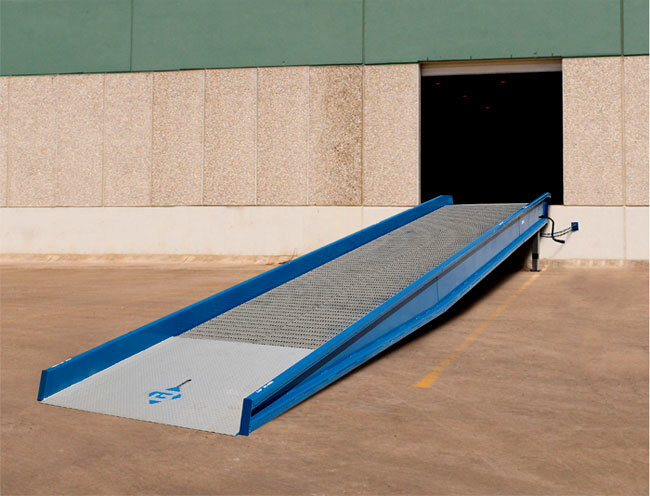 For many operations, where truck access to dock doors is impossible or impractical, yard ramps create flexibility. Loads can be deposited at the ground level, and left there until they can be dealt with. Loads can be staged outside the dock area and then picked up by truck later, using the yard ramp. Yard ramps are excellent for many loading/unloading issues. Perhaps you have operations that require maintaining temperatures within certain limits. There may also be areas heavy-traffic areas where a conventional overhead door’s slow lift and close rates cause delays, slower throughput and cause reduced productivity from waiting on a door to open. These are situations where a high-speed door may solve a variety of problems. From limiting airborne debris, dust and contaminant infiltration to temperature regulation, high-speed doors pick up the pace in your facility even as they limit the amount of exposure to negative environmental influences. They open and close so quickly that forklifts and people hardly need wait on the door in order to pass through the doorway. Let’s take a few minutes to explore the types and key features of high-speed doors. The TranSorter is built for hard to sort items, such as fragile items that require different handling. It’s good for ultra-lightweight items, poly bags, etc. It’s scalable, flexible, and affordable due to truly modular design, a world of layout possibilities, and competitive pricing. 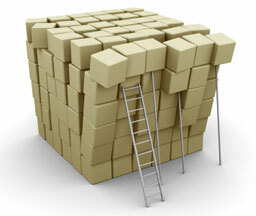 It can also deploy quickly, with 6-8 week delivery times and a couple days installation time. If you’re planning to attend Modex, check it out. The winner this year was Henderson, Kentucky, assuming a single warehouse. 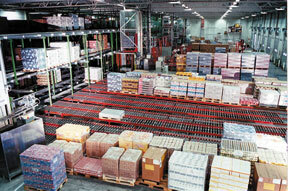 Dallas, Texas finished among the best locations in a 5-warehouse network. A recent project for a large retailer in the Southwest provided a good example of how an element of cross-docking might be deployed to reduce the footprint of distribution space required, reduce order fulfillment touchpoints, and shorten the logical pathway for fulfilling orders. If you started from scratch, many might simply build a cross dock facility with a much shallower depth than most warehouses. A depth of a hundred feet or so, with incoming product on one side that can be easily moved a short distance and loaded on the other side to an outbound truck. Most of us however, must deal with an existing facility, many times a large square box which is not generally the preferred layout. However, as long as the existing facility has a sufficient quantity of dock doors, yard space, and an adequate footprint, you may be fine.